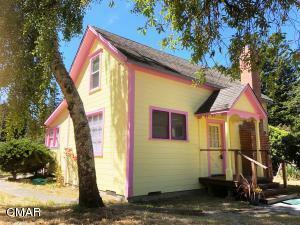 Own this incredibly charming 3 bedroom well built redwood farm house in the sunbelt. Room for horses and an orchard. Gardener's paradise! Mature landscaping, plum, and apple trees. Great southern exposure and location. 3 miles from Highway 1. Brand-new kitchen with Green Galaxy granite counter tops and wood cabinets. It also has a new perimeter foundation, new pressure treated floor girders, a new IPE hardwood front porch, new electric wiring, and a new productive drilled well. Attic has room to expand. Concrete path on east and south sides of house. The shed is a tear down, so please be cautious, and enter at your own risk. This home comes with a 1 year home warranty from the listing agent. Windows upstairs can be removed for moving furniture into the bedrooms, More... Confidential Remarks: Property has recently been subdivided. APN map has not been updated on ParcelQuest.com yet. House was on old APN#020-440-55. Please see photos for new parcel map. Septic Tank is on property, but the leach field is not. However, there are two approved replacement septic areas on property for an aerobic septic system.